There’s no mistaking the fact that Sin City is a 24-hour party. Still, some hotels stand out above the rest for keeping the party going from check-in to checkout. To help you find these ultimate party spots and make the most of your time in the city, we’ve compiled a list of the top five best party hotels in Las Vegas. This upscale hotel located in CityCenter offers guests some of the best amenities in the city. The ambiance, not to mention fresh scent of the lobby, sets the tone for a classy and modern alternative to older hotels on The Strip. Book the Aria as basecamp or stay put for the weekend to enjoy spa & salon services, luxury pools and a host of exciting bars and nightclubs like Liquid Pool Lounge and Haze. With its popular shops and daring shows, Caesars Palace is easily one of the best party hotels in Las Vegas. The Forum Shoppes is known as “The Shopping Wonder of the World,” and Absinthe is one of the most inventive performances in Vegas. If you’re more interested in the club scene, Omnia Nightclub at Caesars Palace won’t disappoint. This 75,000-square-foot club features the world’s best DJs, and International Nightlife Association voted it the World’s Best Club. Known for its top-notch accommodations and world-renowned restaurants, The Palms offers guests a truly pleasurable experience. The fact that it’s not on the strip makes it more appealing to guests who want an all-in-one venue. Palms Pool & Dayclub is home to the famous “Ditch Fridays” pool party, which offers live entertainment, nonstop drinks and spectacular city views. Any search for the best hotels in Las Vegas will have the Hard Rock on its radar. It has everything from the now-infamous Rehab pool party to the six-year-old, aptly named nightclub Vanity. If the club scene isn’t your thing, The Joint offers a more traditional take on popular music with features by the likes of R. Kelly and Journey. No matter what you decide to do with your time, you’ll certainly get your fill of high-quality music and captivating beats at Hard Rock. The Wynn Las Vegas is a stunning, high-end hotel committed to offering “once-in-a-lifetime experiences.” Its sister hotel Encore also has three incredible nightclubs featuring hot entertainers and extravagant spaces. During the daytime, Encore hosts one of the best pool parties in town: Encore Beach Club. If you and your friends would love to join a parade of bikini-clad women and shirtless men milling about the pool and island bars, this is the place to be. If you want to stay at a truly unique and spectacular hotel in Las Vegas, The Cosmopolitan can fulfill your desires. This gorgeous hotel includes a modern supper club – Rose. Rabbit. Lie. – that offers extraordinary dining experiences. More importantly, The Cosmopolitan is home to the epic and highly acclaimed Marquee Dayclub, which has won multiple awards for being the best day club in Las Vegas. At night, Marquee transforms into a nightclub that is just as thrilling and energetic as it is in the daytime. When it comes to offering a variety of entertainment, the MGM Grand definitely hits the mark. With its amazing TopGolf facility, the notable Hakkasan Nightclub & Restaurant, and its top-rated Wet Republic Pool Party, guests at MGM Grand can keep the party going as long as they please. If they need some time to recover from all the wild and crazy fun, they can float along the hotel’s lazy river – a unique amenity that couldn’t be more convenient for those nursing a hangover. If you book your stay at any of these amazing party hotels in Las Vegas, you will maximize your free time and have more fun than you ever imagined. For the lowest hotel rates in Las Vegas, book you hotel with Vegas Party VIP. 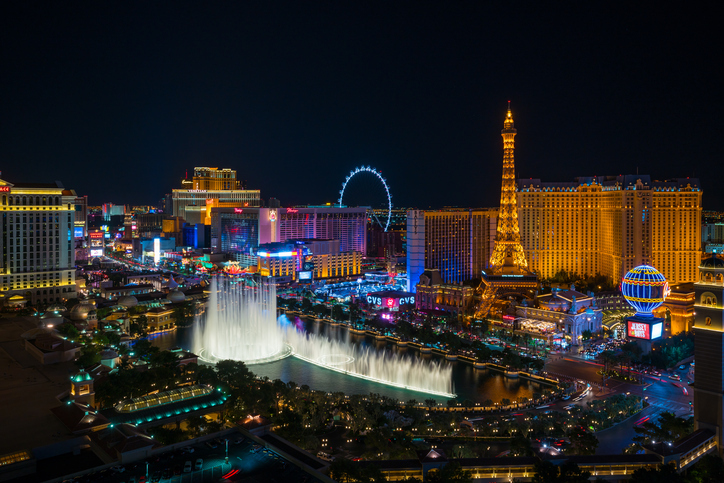 Discounts range from 10 percent to 50 percent off and often beat other Las Vegas hotel deals on discount reservation sites.